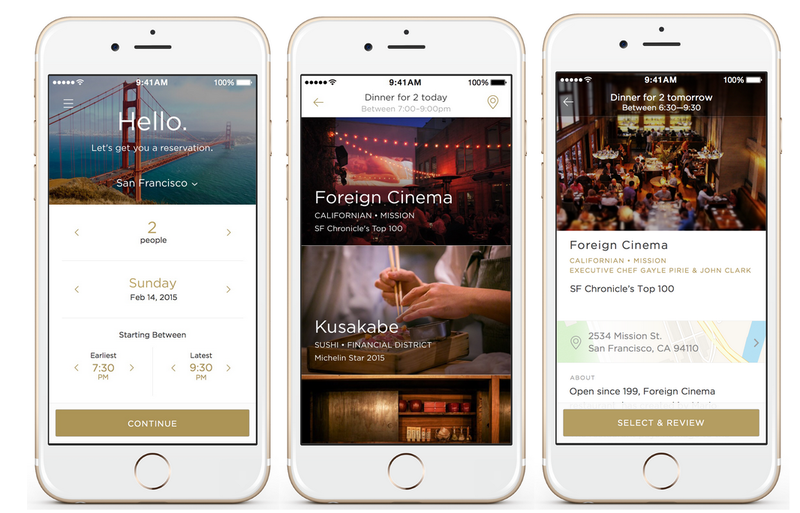 Earlier this year, OpenTable found a new competitor in Reserve, a concierge-like app for booking tables at your city’s finest restaurants. Today, the company announced that the app has officially arrived in San Francisco. Partner restaurants at launch include Foreign Cinema, Outerlands and Spruce. San Francisco is the fourth city to be added to Reserve‘s scope (New York, Los Angeles and Boston were the first three cities during its beta launch). Reserve allows diners to book a table from a list of curated restaurants and charge the meal directly to their saved credit card on the app. Similar to Uber, tip is automatically added according to your percentage preference. Recent app updates also include the ability to make special requests such as anniversaries, birthdays or food allergy notices. Reserve says the Android app and additional features, such as check splitting, are forthcoming.